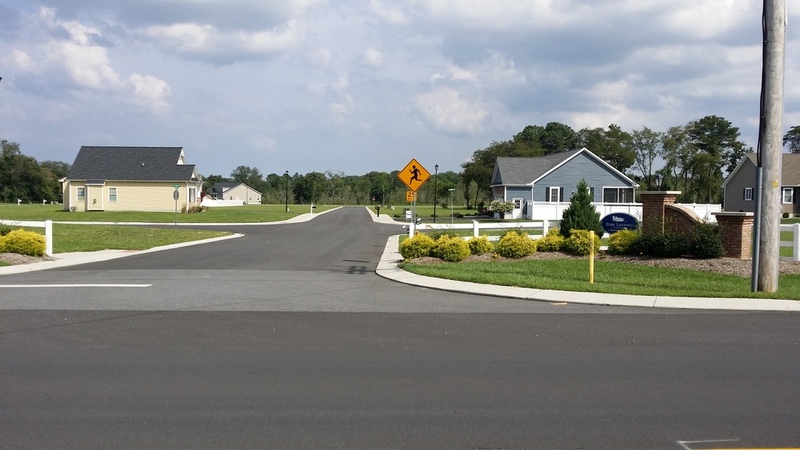 Fork Landing Subdivision, located in the City of Milford, Delaware, is a mix of single family detached and single family attached (duplex) units. The site discharges to Deep Branch, a tidal water body that outfalls to the Mispillion River. As such, the site qualified for a waiver from stormwater quantity management. Axiom Engineering designed a simple bio-swale and infiltration basin to meet the regulatory requirements with minimal land consumption and construction costs.